Look behind an epidemic and there’s a good chance you’ll find Dr. Robert Haley crunching numbers to find the causes and cures. Most physicians advise patients how to avoid or treat illness based on “the medical literature.” Haley, the pre-eminent epidemiologist in North Texas, writes the literature. His is not a household name. Most people will never know how his research has helped them. In 2012, West Nile virus killed 20 Dallas County residents. Afterward, Haley showed that a “vector index” could forecast the next major West Nile outbreak. The index, a mathematical equation, determines the point at which so many mosquitoes become infected that they begin spreading the virus to humans. Using the index, public health officials could determine when they needed to spring into action, Haley said. Early intervention with chemical pesticides could prevent another West Nile epidemic. But only if politics doesn’t get in the way. “The dilemma is whether our community will have the political will to conduct aerial spraying before the cases and deaths mount,” he said. Haley, who is 68, has served as chief of epidemiology at UT Southwestern Medical Center since 1983. As a tenured professor, he is mostly insulated from prevailing political winds. He isn’t shy about using his medical degree for social action. Last year, concerned about exacerbations of asthma and other lung ailments, Haley moved air quality in North Texas to the top of his agenda. He and other physicians lobbied state regulators to curb air pollution from three antiquated coal-fired plants that generate electricity. Soot from those plants — along with exhaust fumes from cars and trucks — are making some people sick and killing others, Haley warned. So far, state regulators have declined to make the energy industry spend money to clean up the plants or shut them down. The sun had just risen on a chilly Wednesday morning. The cavernous lecture classroom at UT Southwestern was mostly deserted. Haley waited patiently at the front of the room as his accomplished medical students, dressed in scrubs and white lab coats, trickled in. They were about to hear a lecture on how medical knowledge progresses through clinical investigation. As he began his PowerPoint presentation, Haley cut a rather unremarkable figure: balding, medium height, medium weight, dressed in khakis, a starched blue dress shirt, a brown belt and brown shoes. Doctors once believed that stress, spicy foods or just having a Type A personality caused stomach ulcers, he told his students. Haley, in a sense, is a revolutionary. He uses data to turn conventional wisdom on its head. Yet he calmly accepts that many people will continue to embrace conventional wisdom, even after facts disprove it — a realization that would horrify many other scientists. Haley’s most far-reaching achievement, a nationwide study on how to control hospital-acquired infections, came early in his career. It has undoubtedly saved thousands of hospital patients and workers from unnecessary illness, even death, over the last 30 years. At the time, in the 1970s, most hospitals followed standardized infection-control procedures. They relied, to a large extent, on the good intentions of doctors, nurses and cleaning crews. Very few institutions tracked infection rates in various areas — operating suites, intensive care units, maternity wards. But new technology was making it easier to gather and analyze data with computers. Haley’s study suggested that hospitals could do certain things to dramatically reduce the spread of disease: hire an infection control officer, develop software to produce regular “scorecards” on infection rates and feed the data back to doctors and nurses so they could improve patient care. The “best practices” that sprang from his landmark CDC study created a movement that became a mandate. Medicare and the Joint Commission on Hospital Accreditation now require hospitals to meet standards that Haley and his team developed three decades ago. After a decade in Atlanta, Haley came home to Dallas to join the UT Southwestern medical school faculty in 1983. Now, 42 years into his career, he has no desire to retire. Army Col. William J. Davis III, now 63 and retired, was a respected Special Forces officer during the Persian Gulf War in 1990-91. Davis went to war fit and healthy. He returned with short-term memory loss, muscle pain and weakness, constant fevers and a sensitivity to light. At first, he thought he’d had a stroke. Davis wasn’t alone. About 700,000 Americans were deployed in the first Gulf War. When 150,000 of them came home complaining of mysterious ailments, military doctors told them all the same story: It was post-traumatic stress. Ross Perot, an indefatigable supporter of the military, heard the stories about sick veterans living in misery with no hope of a real diagnosis or treatment. 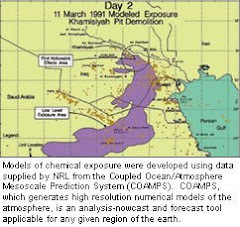 Over the last 18 years, Haley and a team of researchers have amassed a body of medical evidence showing that exposure to chemicals used in the war — and not stress — was responsible for the symptoms troubling Davis and thousands of others. Finally, veterans had an answer that made sense. U.S. Sen. Kay Bailey Hutchison of Texas joined the search for truth about Gulf War illness more than a decade ago. The Dallas Republican, who has since retired, engineered a five-year, $75 million congressional earmark for UT Southwestern to support Haley’s research into what happened to the veterans. That didn’t sit well with bureaucrats in the U.S. Department of Veterans Affairs. When he began his research, Haley neither accepted nor rejected the conventional wisdom that Gulf War veterans were suffering from post-traumatic stress. But time and again, his tests on their brains and central nervous systems pointed to chemical exposure as the culprit. Haley found that some veterans had inhaled sarin, a nerve gas, when a munitions dump exploded in Iraq. Others were exposed to pesticides. Still others had received vaccines intended to protect them from nerve gas attacks. 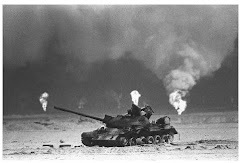 The Gulf War was portrayed by its supporters as a perfect victory: Wham, bam and Iraqi dictator Saddam Hussein, who had invaded Kuwait, was sent packing back to Baghdad. By insisting on researching the physiological causes of Gulf War illness, Haley and his ilk threatened that made-for-TV image of a glorious, short and sweet triumph. In the doctor’s version of history, things hadn’t gone so well for the U.S. troops sent to fight the war. In 2009, the Department of Veterans Affairs canceled Haley’s research contract — the one Hutchison had steered to UT Southwestern — because of what it alleged were “persistent noncompliance and numerous performance deficiencies.” Several years earlier, another government agency had cooked up allegations that Haley had violated ethical rules on medical research. There were warnings that not just Haley’s contract but all federal grants to UT Southwestern were at risk. Eventually, the issues between Haley and the feds were resolved. And he is now a hero to Davis and other veterans. Haley’s father and grandfather were doctors. Two uncles were doctors. His three brothers are doctors. Two of his three children are doctors. He is proud of his family’s accomplishments, but if there is any show-off in him, it’s not apparent in his lifestyle. In his driveway sits a silver 2006 Toyota Camry with 100,000 miles on it. He and his wife, Stephanie, have been married for 45 years. Having raised three children, they’re now empty nesters rattling around in a 3,700-square-foot North Dallas home near Walnut Hill Lane and Boedeker. Haley knows he could have earned much more money had he gone into private practice instead of scientific research. “We do all right. How much money do you really need to live?” he said. His roots run throughout Oak Cliff. His father, Dr. Arvel Haley, returned from World War II and moved his family into a whitewashed wood-frame house near Jefferson Boulevard. Raven’s Pharmacy, where his dad’s patients filled their prescriptions, is still open. But almost everything else from the old neighborhood is gone. When Haley was in grade school, the family lived at 225 N. Rosemont. He spent his high school years in a comfortable home at 940 Kessler Parkway in north Oak Cliff. He and his three brothers shared a large second-story room that looked like something from a college dorm. They used the backyard pool to teach other kids to swim. The leafy neighborhood behind Methodist Hospital was known as “Pill Hill” because of all the doctors who lived there. His dad could walk to work. Haley became an Eagle Scout (Troop 20) and a member of the National Honor Society. He played guitar and banjo in a folk/bluegrass band called The Kinsmen. Haley made all-city as the quarterback for Sunset High School. He graduated in 1963 and enrolled in Southern Methodist University. He met Stephanie there and earned a bachelor’s degree in philosophy in 1967. Then he went to medical school. After earning his medical degree from UT Southwestern in 1971, he worked at Parkland Memorial Hospital for a couple of years, then headed off to the CDC in Atlanta. His pioneering work there on controlling hospital-acquired infections earned good reviews. In 1983, UT Southwestern invited Haley to return to Dallas to teach, conduct research and see patients. He and Stephanie decided that this was where they would raise a family. “It just all came together,” Haley said. He can still play the banjo but is now a self-described opera buff. Dr. Paul Fischer didn’t have a clue about how to gather and analyze data for an epidemiological study. His specialty was internal medicine. His job was to see patients. In 1991, Fischer noticed an abnormal rate of hepatitis C, a viral liver infection, among his patients. To him, it looked like an epidemic. He wasn’t sure what was causing it. So he went to see Haley, who became his collaborator and mentor. They developed a 70-question patient survey to explore different variables. Fischer gathered information from 600 patients and carefully entered the information into a database. “Did you check your work?” Haley asked him. “I’m very careful,” Fischer replied, a bit defensively. Fischer found a 10 percent error rate in his data entries. When it came time to write a software program to analyze the data, Fischer hoped Haley would do it. Instead, the mentor handed his apprentice a stack of programming manuals. Their study identified tattooing as the top cause of hepatitis C’s spread through Dallas in the 1990s. Intravenous drug use, heavy drinking and accidental needle sticks were known causes of hep C. The tattoo thing was new. As Haley expected, other scientists began poking holes in the study, questioning its design and methodology. More than a decade later, Fischer uses the skills he learned from Haley to gather data on patients, enter it into customized software programs and analyze it quickly to diagnose and treat illnesses. Politically, I’m: Independent. I’ve supported Republicans and Democrats over the years. Last book I read: Barbara Tuchman’s The Guns of August (for the 100th anniversary of the start of World War I). Favorite food: My wife’s oatmeal lace cookies. Aside from my family, my biggest accomplishment is: Research establishing the efficacy of infection surveillance and control programs … in hospitals. The guests at my fantasy dinner would be: Mozart, Tolstoy, Niccolo Paganini, Ludwig Wittgenstein, William Osler, John Snow, Ignaz Semmelweiss, Don Meredith, Harold Jeskey and Donald Seldin. The possession I value most is: My mother’s violin. Hobbies: Opera fanatic. Violin practice master for two grandchildren. Religion: Raised Methodist. Now a member of Preston Hollow Presbyterian Church.